Need Farm Insurance in the Guelph Region? There’s farm insurance, then there’s mutual farm insurance. With roots going back to 1859, Halwell Mutual Insurance is part of a network of 40 Ontario Mutuals, formed with the idea of communities helping themselves. All of Halwell’s policyholders are also members and owners—which means we’re always in this together. Based in Guelph, Halwell Mutual is one of the leading farm insurance and commercial property insurance companies in Wellington County. 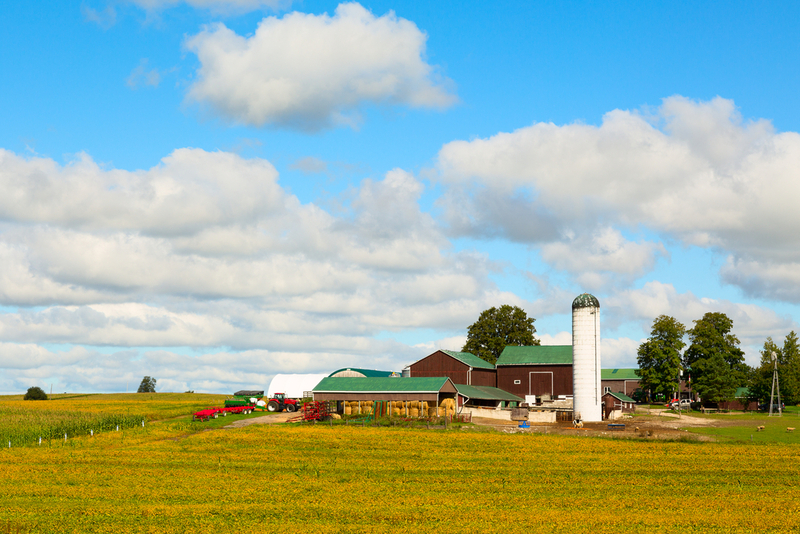 We insure hobby farms, production farms and everything in between across southern Ontario—from Halton to Brant County. Halwell can help you get the policy that you need to protect your farm. If you’re looking for a farm insurance quote, click the button below to get connected with a Halwell broker in your community. Commercial Property Insurance: Coverage for barns, sheds, grain silos and other outbuildings. Equipment Insurance: Tractor insurance and coverage for other equipment used in planting, fertilization and more. Farm Liability Insurance: Protect yourself in case of accidental damage to other persons or property, as a result of your farming operations. Our farm insurance policies offer a wide range of insurance options for farmers in Ontario, so they can stay protected from any type of risk. For more details on our farm insurance coverage options, please contact a local Halwell broker in the Guelph area.